Keep updated with all the latest NFNL transfer news ahead of the 2019 football season. This page will provide rolling coverage from the transfer table, ahead of the start of the 2019 season, which begins on Friday April 5. Continue below for all the latest from the transfer table. Bundoora on-baller Liam Byrne has been approved a transfer to join EDFL Premier Division club Avondale Heights. Byrne has been a standout for the Bulls since joining in 2015, racking up 75 games over the past four years. He finished second in Bundoora’s best and fairest in 2016, before placing fourth during the 2017 premiership season. Byrne has also been a member of the NFNL’s representative team in each of the past two years. He becomes the sixth member of Bundoora’s 2017 premiership team to depart Yulong Reserve this off-season, joining Ricky Dyson, Josh Grabowski, Joe Palazzolo, Nick Grabowski and Jack Furlong. Heidelberg has formally submitted transfers for Jack Blair and Anthony Bonaddio. The younger brother of Collingwood 2010 premiership player Jarryd, Blair has been a member of the Magpies’ VFL squad for the past five years. He made 37 VFL appearances for Collingwood, including 11 in 2018. Blair has also played 81 senior games for Wonthaggi, although the Gippsland League club has denied his initial transfer request to Heidelberg. In a major boost for the Tigers’ midfield, Bonaddio returns to football after a three-year absence. A standout with the Northern Knights in 2012, he joined West Preston-Lakeside in 2014 and finished third in the best and fairest in his sole season at the club, prior to joining Elmore in the Heathcote District Football Netball League. Macleod continues to add to its already impressive list of recruits, with Mark Baker, Adrian Totino and Thomas Scott all set to join the Division 1 runner-up, while youngster Charlie Smythe is looking to return from Marcellin. 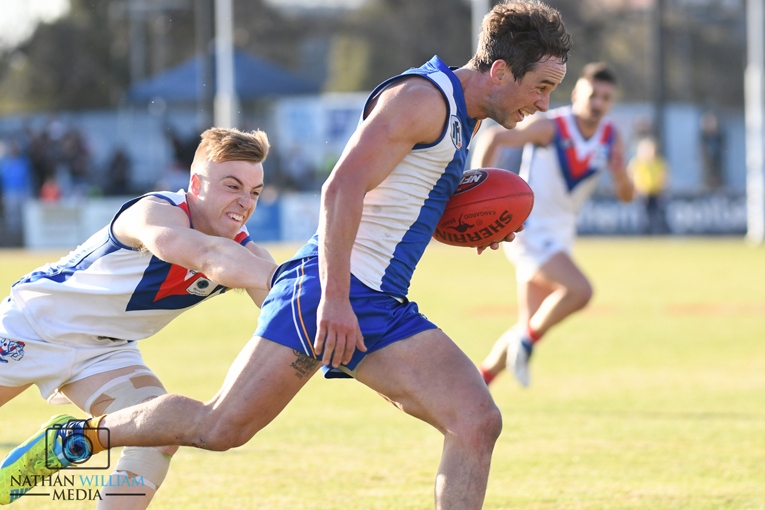 Baker, the cousin of fellow Roos’ recruit Jack, has also signed with VFL side Coburg for the 2019 season after spending the past two seasons with the Northern Knights. Totino joins his brother Josh at De Winton Park from Epping. The goal-kicking midfielder has been cruelled by knee injuries and has been restricted to just 20 senior matches over the past six years. Scott is a young ruckman who has played TAC Cup football with Greater Western Victoria. He featured in the best players in nine of 13 matches with Keilor’s under-19 side last year. Meanwhile, VFL permits have been issued for North Heidelberg midfielder Liam Hunt, Greensborough young gun Tynan Smith and Bundoora big man Daniel Guccione. A member of the 2017 VFL Team of the Year, Hunt will team up with Williamstown this year. He produced a stellar campaign for North Heidelberg in 2018 to help steer the Bulldogs to the Division 1 preliminary final. Smith was a revelation in his first season of senior football for Greensborough. He booted 24 goals and was named in the Boro’s best players eight times. Smith was also captain of the NFNL’s under-19 representative team and has been granted a permit to Essendon’s VFL squad. He will be joined on the Bombers’ list by Guccione. The Bulls’ ruckman/forward enjoyed a career-best season in 2018, playing 16 senior matches. Macleod continues its recruiting spree, with the Roos adding former Whittlesea and Epping premiership player Matt Dornauf and star Canberra defender Jack Baker to their list of signings. Dornauf returns to the NFNL after spending the 2018 season with Echuca in the Goulburn Valley Football League, where he kicked 15 goals in 21 matches. The goal-kicking midfielder kicked 120 goals in 90 matches for Whittlesea and was a member of the club’s 2010 and 2015 premiership teams, winning the club’s best and fairest in the latter of the two premiership years. He was also a member of Epping’s 2012 Division 2 premiership team and has spent time on Essendon’s VFL squad. Baker has played 29 NEAFL matches for Canberra’s over the past three years. He made his return from an ACL injury late last year and featured in six matches in 2018. Baker is regarded as a hard-nosed defender with a penetrating kick and has also lined up for Belconnen prior to the club’s withdrawal from the NEAFL. • Panton Hill has lodged its transfer Joel McLellan after announcing the ruckman’s signing in November. McLellan played 87 games Montmorency and claimed the club’s best and fairest in 2015. He has also previously played senior football with both Greensborough and Lower Plenty. • Banyule has applied for a clearance for Joshua Blake from Essendon Doutta Stars. The 23-year-old made four appearances in the EDFL’s Premier Division in 2018. • West Preston-Lakeside’s Michael Sibaie has a pending transfer to join Epping. Sibaie played one senior game for the Roosters during their 2018 premiership campaign. He has regularly been named in the reserves’ best players in recent years. Justin McInerney has officially been added to Sydney’s AFL list after the Swans lodged a transfer for the 18-year-old from Banyule. A tall wingman, McInereney was considered one of the best kicks in the 2018 draft crop and is also a talented overhead mark. 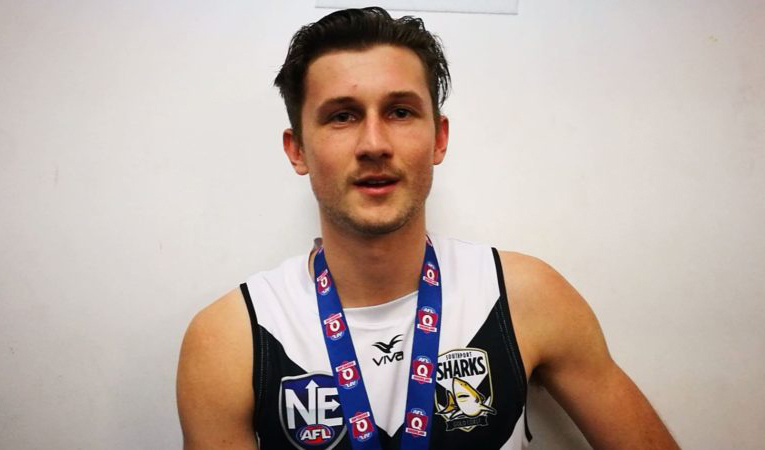 The Banyule and former Macleod junior played 10 TAC Cup games for the Northern Knights in 2018 and was named among the best players six times. He also played one game for Banyule’s under-19 during the year, when he featured in the Round 11 win over Mernda. Jake Chiminello is looking to return to Macleod and could be joined at De Winton Park by veteran forward Aron Burns. Chiminello played 19 senior matches for the Roos from 2015 to 2017. The young ruckman claimed the Division 1 reserves competition best and fairest in 2017, before moving to Heidelberg West in 2018 where he played six matches. Burns has played for a host of NFNL clubs, the most recent of which was Hurstbridge. He won the Bridges best and fairest in 2014 and booted 86 goals in 33 appearances for the club. He kicked 42 goals for Kinglake last year after joining from Hepburn, where he booted 38 majors in 2017. VFL club Williamstown has lodged a permit to retain Heidelberg recruit Tom Schnerring. Schnerring played 12 games for the Seagulls during their preliminary final campaign last year. He made Heidelberg his nominated local club earlier this month, making the switch from Ballarat. Eltham co-captain Bradyn Taglieri has filed a transfer to join Eastern Football League powerhouse Balwyn. The 27-year-old signed with the EFL club in November after 119 appearances for Eltham. He was co-captain with Josh Merkel for the past four years. Taglieri has been one of the competition’s premier midfielders over the past decade and has represented the NFNL in three of the past four interleague campaigns. He was restricted to 13 matches in 2018, but featured in the Panthers’ agonising Division 2 grand final loss to Lower Plenty. Taglieri won Eltham’s best and fairest in 2015 after returning from a VFL stint with the Northern Blues. • Heidelberg has denied a transfer that would see Jesse Cucinotta join EFL club Norwood. Cucinotta made 10 senior appearances for the Tigers last year after joining from Shepparton. He also played two games for the club’s under-19s team throughout their premiership campaign. • Carlton’s VFL Women’s side has entered permits for Marnie Jarvis and Taylah Manson. Yarrambat junior Jarvis has represented both the Calder Cannons and Northern Knights and last year represented Vic Metro at the AFLW Under-18 Championships. She also made four VFLW appearances for Darebin. Manson played with both the Northern Knights and Montmorency’s under-18 team in 2018. • Epping has submitted a clearance for James O’Brien. The 21-year-old has played senior football with Moyhu and West Preston-Lakeside over the past two seasons. Young forward Sam Indian is looking to join Whittlesea for the Division 2 season. The 17-year-old was a revelation for South Morang last year – booting 36 goals in just 11 matches during his debut season. He booted six goals in the Lions’ five-point semi final win over Laurimar, which was one of six hauls of four goals or more during the year. Indian was a member of the NFNL’s representative sides at both under-14 and under-15 level. In Division 1, Hurstbridge has lodged transfers for Glenrowan’s Max Scott and Banyule duo Michael Glynn and Josh Harris. Scott has played 77 senior matches for the Ovens & King Football League club, while Glynn and Harris have made only a handful of appearances for Banyule’s senior team – but have been standouts in the reserves team for the past two years. Division 1 reigning premier West Preston-Lakeside has made significant moves as it looks to bolster its squad ahead of its premiership defence. Former Adelaide-listed midfielder Matthew Signorello has a pending transfer to return to the club after two seasons on the Crows’ AFL list, while Michael Dufficy and Oliver Dufficy are also looking to complete moves back to J.E. Moore Park. Signorello has signed with VFL outfit Port Melbourne for the 2019 season, but will list West Preston-Lakeside as his nominated home club. He was selected by Adelaide with pick No. 62 in the 2016 AFL draft, but was delisted in October without playing an AFL game. The classy midfielder did make an impact in the SANFL, playing 35 games and kicking 25 goals. He finished third in the Crows’ best and fairest in 2018 after being named in the best players eight times. 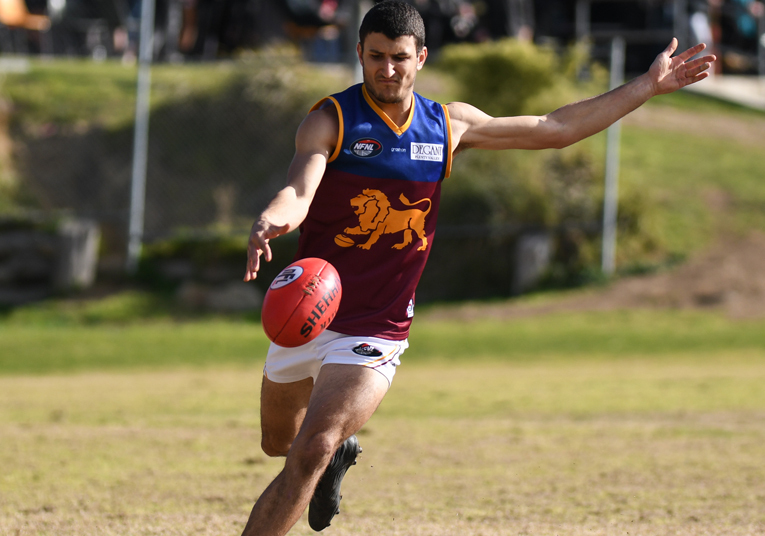 An NFNL junior representative at both Under-13 and Under-14 level, Signorello played the majority of his junior football with West Preston-Lakeside, before joining South Morang. He spent most of his 2016 draft season with Ivanhoe Grammar, winning the team’s best and fairest, and averaged 23 disposals per game in eight TAC Cup appearances with the Northern Knights. Further ex-AFL listed experience has now been added to our 2019 playing list, with the signing of impressive young inside midfielder Matthew Signorello from the Adelaide Crows! Both Michael and Oliver Dufficy are set to return football this year, having not played since featuring for Lara in 2016. Michael has previously played VFL football with the Northern Blues and is a former Northern Knights TAC Cup representative. He has played six senior games for West Preston-Lakeside, the last of which was in 2013 prior to making a move to Ireland to try his hand at Gaelic football. He kicked 25 goals in 15 matches for Lara in his most recent season of football two years ago. Oliver was a reliable goal kicker in his previous stint with the Roosters – booting 41 goals in 32 appearances. He produced his best season in 2013 when he kicked 26 goals to finish second on the club’s goal kicking table. Also on their way to J.E. Moore Park are 20-year-old midfielders Nicholas Kempe and Michael Marotta. 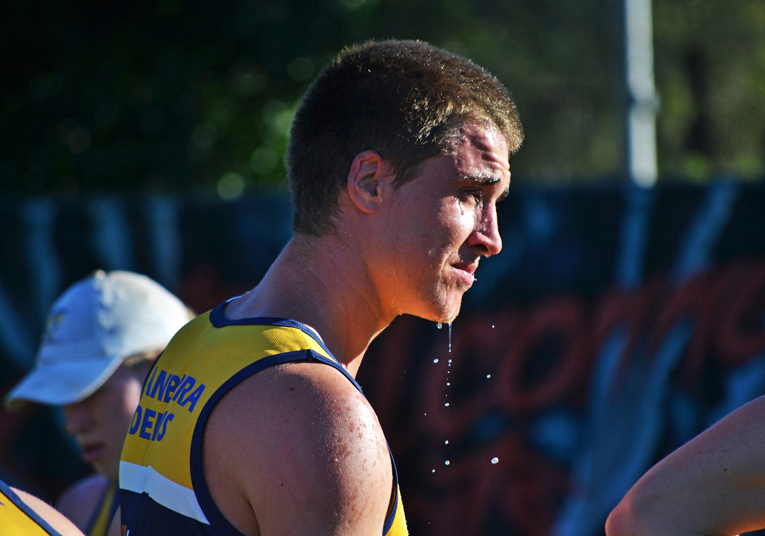 Kempe was a standout for Broadbeach in the QAFL in 2018 – booting 26 goals in 19 appearances to help guide the club to a grand final appearance. A speedy wingman, he won a QAFL Rising Star award nomination during the year and also appeared for Southport in the NEAFL. Kempe was also a former member of the Gold Coast Suns academy and spent the 2017 season with the club’s NEAFL outfit. Marotta has played senior football with Dalyston in recent seasons and was named in the West Gippsland league representative squad as a teenager in 2017. He was also named on the wing in the league’s Team of the Year in the same season. In 2015 he claimed the Alberton Football Netball League under-18 best and fairest award. • Montmorency forward Kye Declase has entered a transfer to join Hurstbridge. The skillful forward, who also represents Werribee in the VFL, booted 33 goals 19 appearances for Montmorency. 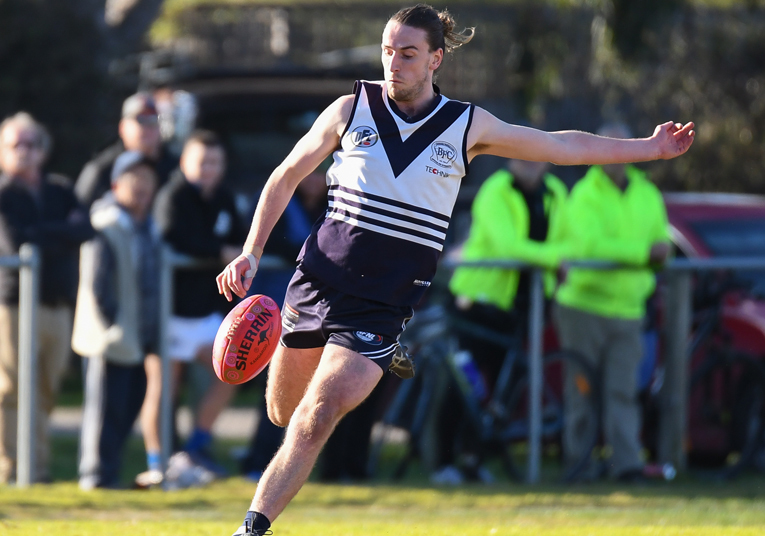 He played his two best matches of 2018 against Hurstbridge – booting nine goals in a big win in Round 8, before kicking three, including the match-winner, in a one-point thriller in Round 17. He will be joined at the Bridges by Jake Dickson, who is crossing from Thornton Eildon. • Diamond Creek young gun Cameron Wild is looking to join Shepparton in the Goulburn Valley Football League. The 18-year-old played seven senior matches for the Creekers last year and was named in the best players four times. He also featured in 10 TAC Cup matches for the Northern Knights. 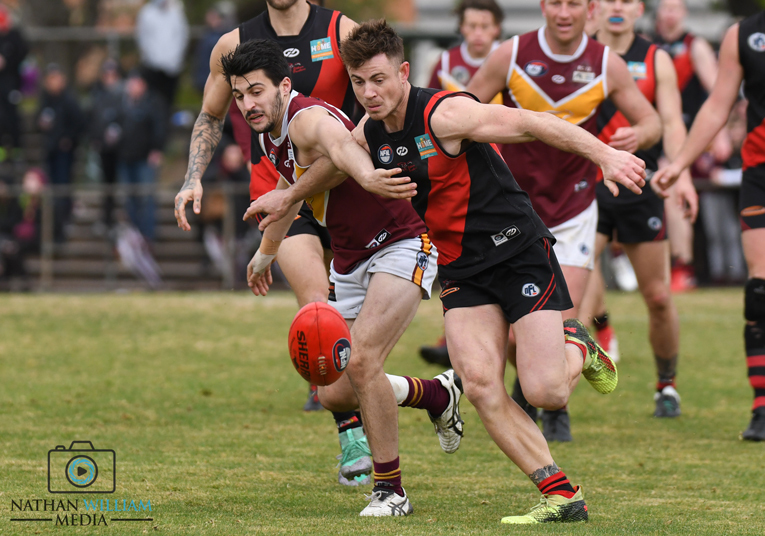 Mernda midfielder Jesse Owens-Draper and Yea young gun Harrison Jarvie are both looking to join Whittlesea for the 2019 season. Owens-Draper spent nine seasons with Mernda and has been mainstay in the senior team since making his debut in 2010. He played 113 games and was a member of the 2012 Division 3 premiership team. He featured in Mernda’s best players in seven of 14 matches in 2018. Jarvie made his senior debut at 17 and has gone on to played 63 senior matches over the past four seasons. He took out Yea’s best and fairest award in 2017 and has been a member of the Yarra Ranges interleague squad. He has booted 49 goals at senior level, which included a career-best 20 majors in 2016. Hurstbridge defender Jay Barbera is looking to join Roxburgh Park. If Barbera’s transfer to the EDFL Division 1 club is approved he will be coached by former Bridges premiership skipper Micheal Farrelly. Barbera played 86 matches for Hurstbridge after making his debut back in 2011. He produced his best season in 2016, playing every game in the Bridges’ Division 2 premiership campaign and finishing second in the best and fairest. Reservoir has lodged a transfer for Stratford premiership-winning youngster Mitchell Hawkins. The 20-year-old midfielder has played 32 senior matches in the Gippsland league. In September he was part of the Stratford premiership side that downed Lakes Entrance in the grand final. 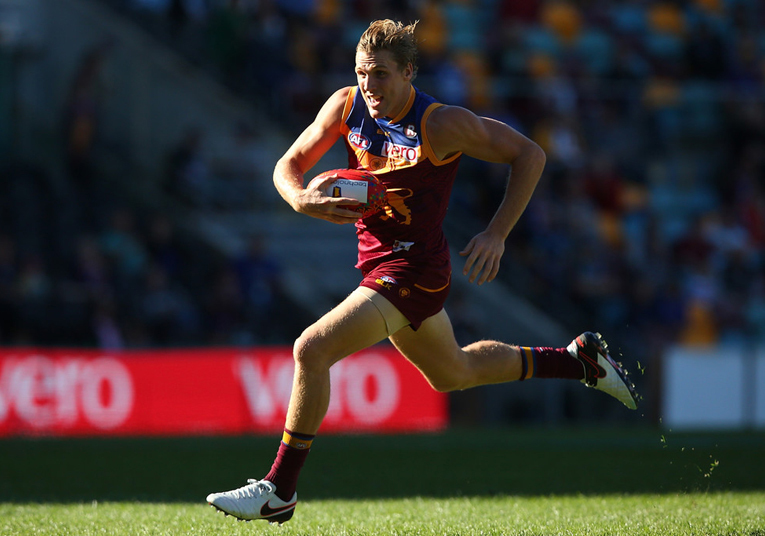 Greensborough has submitted its transfer application for former Brisbane Lions and Carlton midfielder Tom Bell. The Boro announced the signing of the 27-year-old as a playing-assistant last month. Bell played 71 AFL games for the Lions and Blues prior to being delisted at the end of the 2018 season. He managed just one senior game in 2018, but led the NEAFL’s MVP voting halfway through the year before suffering a leg injury. The Boro have also lodged transfers for fellow recruits Ben Fennell, Liam Read, Damon Marcon and Mitchell Whitham. Fennell has been one of the competition’s best midfielders during stints with Montmorency and Hurstbridge. A two-time NFNL representative, Fennell’s best season in Division 1 came in 2016 when he finished runner-up in the Coaches MVP award and was named ruck rover in the Team of the Year. Fennell has also been a member of Essendon’s VFL squad and joins the Boro after two injury-plagued season. Read joins from Riddell, where he featured in the Riddell District Football League grand final defeat to Diggers Rest. He was named in the club’s best players in nine of 18 matches in 2018. Marcon was named in the 2018 NFNL Division 2 Team of the Year after booting 39 goals in 18 appearances for Epping. The 24-year-old is a proven goal kicker, having also kicked 190 goals in 82 appearances for VAFA club Preston Bullants. Whitham joins from Kilcunda Bass, where he has played 40 senior games over the past three seasons. In more news from the Boro, Billy Murphy’s transfer to join NEAFL outfit Aspley has been approved. Murphy booted 18 goals in six NFNL appearances in 2018. Daniel Caruso’s move to Thomastown has been approved by South Morang. Caruso was one of the prime movers in Heidelberg Golf Club Division 3 last season, finishing runner-up to Heidelberg West ruckman Jarryd Coulson for the best and fairest. He played 52 games for the Lions and was twice named in Heidelberg Golf Club Division 3 Team of the Year. Former Collingwood defender Adam Oxley has joined Eltham for his first night of pre-season training. The 27-year-old has strong links within the Panthers’ line-up, having previously lined up alongside Brent Macaffer and Michael Still in the Magpies’ AFL and VFL teams. Jack Grimes has submitted a transfer to join Warrandyte. Grimes, who sat out the 2018 season, will team up with several of his former Hurstbridge teammates, including brother Tom, at the EFL Division 3 club. 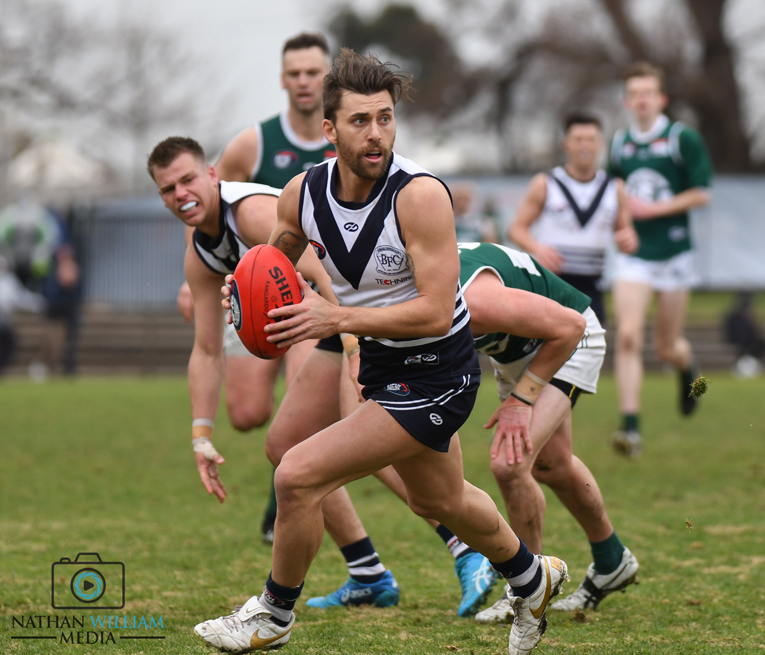 The former Melbourne skipper was a standout in his return to Hurstbridge in 2017, following an AFL career that spanned 100 games across nine seasons. Grimes won Hurstbridge’s best and fairest, finished third in the Coaches MVP award and was the Bridges’ sole representative in the Division 1 Team of the Year. Selected at No. 14 in the 2007 AFL Draft, Grimes was named co-captain of Melbourne in just his fourth season at the club. He enjoyed a career-best season in 2012, playing 21 games and finishing second in the Demons’ best and fairest after averaging 22 disposals per match. Unfortunately, Grimes was then plagued by soft tissue injuries and played only 47 games in his final four seasons in the AFL. • Macleod youngster Joseph Ciranna is set to join EDFL powerhouse Keilor. The 19-year-old former Northern Knights representative played eight senior matches for the Roos in 2018. He also featured in the NFNL’s under-19 representative match against the MPNFL and was a member of the Roos’ under-19 grand final team. • Lower Plenty has approved a clearance for Ned Waters to join VAFA outfit Kew. Waters was co-captain of the Bears’ Division 2 under-19 premiership side in 2017 and made his senior debut the same season. He played a further 10 senior matches in 2018 and was named as an emergency for the Division 2 grand final. • Diamond Creek Women’s defender Laura Attard has been approved a move to AFL Queensland side Bond University. The defender lined up for Carlton in the first two seasons of the AFLW and has also represented the Creekers and Southern Saints in the VFL Women’s. Attard played six matches for Diamond Creek Women’s during the 2018 NFNL Women’s Division 1 season and featured in the club’s best players in both the elimination and semi final. • Former Reservoir goal sneak Kent Beaumont has entered a transfer to join EDFL Premier Division club Glenroy. Beaumont, who didn’t play football in 2018, booted 130 goals in 99 matches for the Mustangs and was a member of the 2015 premiership team – kicking 33 goals that season. He spent a year at Preston Bullants in 2016, before returning to Reservoir in 2017. If the transfer is approved, Beaumont will reunite with former coach Ross Terranova, who has been in charge of Glenroy since 2016. • Jackson Bailey has a pending transfer to join Old Ivanhoe Grammarians. 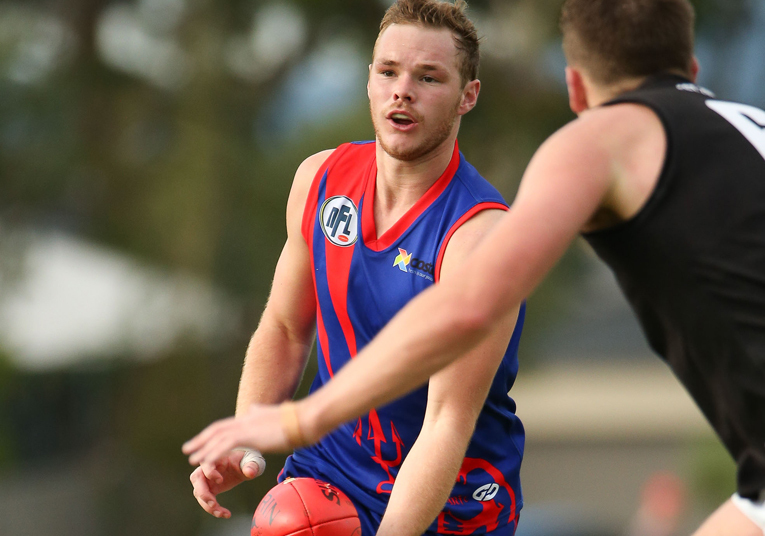 Bailey didn’t play a game in 2018 after making four senior appearances for North Heidelberg in 2017. The 21-year-old has also played senior football with Heathcote. Lower Plenty welcomes back Josh Turner for its return to the top flight in 2019. The 22-year-old midfielder played 12 games for the Bears between 2012 to 2015. Turner has previously been a member of Collingwood’s VFL squad and has Division 1 experience with Northcote Park. He spent the past two seasons with Doncaster, where he played 38 games with the Sharks in the EFL’s top divisions. Darebin star Shannon Egan has been approved a move to VAFA outfit Williamstown CYS. The former Falcons skipper won the NFNL Women’s Division 1 best and fairest award in 2017, despite playing just seven matches between VFL duties. Egan was just as dominant in 2018, finishing runner-up in the Division 1 best and fairest voting and third in the Coaches MVP award. • Northern Blues defender and former Northern Knights captain Mason Blakey has switched his nominated home club from Heidelberg to Park Orchards. The 20-year-old didn’t feature for Heidelberg after playing every game for the Blues during the 2018 VFL season. He played one NFNL game for Eltham in 2017. Adam Oxley has officially joined Eltham after being approved a transfer from Collingwood. Oxley joined the Panthers in December after 34 AFL games with the Magpies, including three in 2018. The defender will be available on a part-time basis in 2019, having also agreed to play on with Collingwood’s VFL side. Oxley will team up with former Collingwood teammate Brent Macaffer at Eltham. Former Gold Coast academy members Brody Foster and Harry Simington have both submitted transfers to join Macleod. The duo look set to join fellow former Sun Muhammed Saad at De Winton Park, where they will be mentored by Christian Stagliano – himself a former member of Gold Coast’s coaching staff. Simington’s initial application has been denied by Labrador, while Foster’s remains pending from Surfers Paradise. As reported by Leader Local Footy, both Foster and Simington have also signed on at Coburg for the 2019 VFL campaign. Foster earned a nomination for the NEAFL Rising Star award last season. It followed a strong 2017 campaign where he won the Suns’ Under-18 Academy Series MVP award, represented the Allies and was invited to attend the AFL’s Rookie Me Combine. Simington was also an Allies member in 2017, before being plagued by hamstring and foot injuries. He returned to the Suns NEAFL side late last year and had a promising finish to the season, winning a nomination for the NEAFL Rising Star. Thomastown submits a transfer for Bundoora utility Ben Nesci, after announcing his signing in December. The 21-year-old tall played 15 matches for the Bulls in 2018, including the semi final loss to West Preston-Lakeside. Nesci played 29 matches for the Bulls in his two seasons at Yulong Reserve after switching from South Morang, where he played 33 games between 2015 to 2016. A former Northern Knights member, Nesci also represented the NFNL’s under-19 team in the 2016 interleague win over the MPNFL. • West Preston-Lakeside premiership forward Belinda Gicevski has entered a transfer to EDFL club Craigieburn. Gicevski played 25 games for the Roosters over the past two seasons and kicked 10 goals during the Roosters 2018 Division 2 Women’s premiership campaign. Macleod star Ned McKeown appears to be on the move, with a transfer pending to join North Albury in the Ovens & Murray Football League. McKeown was runner-up for the Frank Rosbrook Medal in 2018, finishing two votes behind tied winners Michael Brunelli and Lucas Hobbs. It was the second time he had placed for the award after finishing third in 2015, while playing at Bundoora. The 23-year-old played 60 matches for Macleod after joining in 2016 and featured in each of the Roos’ three consecutive grand final defeats – including last year’s nine-point loss to West Preston-Lakeside in which he sustained a match-ending knee injury early in the second term. McKeown also played 31 matches for Bundoora between 2013 and 2015, sharing his time between the Bulls and Collingwood’s VFL side. A representative in the Division 1 Team of the Year in each of the past four seasons, McKeown was also a member of the NFNL interleague team from 2016 to 2018. If the transfer is approved, McKeown will play under former NFNL representative teammate and Bundoora forward Isaac Muller – who is playing-coach of North Albury. Mernda lodges transfers for three players, including Ryan Kannegiesser, Tyson Sparkes and James Hearnes. Kannegiesser played in Roxburgh Park’s EDFL Division 2 grand final win this year. He joins the Demons after 76 games for the Magpies, where he averaged close to a goal a game. Sparkes is a key forward signed from SFNL club Springvale, while Hearnes crosses from Belgrave. However, the Demons also have two outgoing transfers with Krys Douglas and Marcus Saddington both approved moves to Kinglake. Douglas played 140 games for the Demons across two stints with the club. He was second to Les Adams in the 2015 best and fairest, before finishing fourth the following season. Saddington has also been a club stalwart across his 114 senior games with Mernda. He was a member of the Demons’ 2012 premiership team. North Heidelberg has denied a clearance request for Rhys Gardener to join Broadford. Gardener played eight senior matches for the Bulldogs last year, the most recent of which was the Round 18 loss to Bundoora. He joined the club after stints with Bairnsdale and East Sunbury. Old Ivanhoe lodges a transfer for former Lower Plenty and Hurstbridge playing-coach Michael Ryan. Ryan coached the Bears between 2016-17, following a a two-year stint in charge of the Bridges. A premiership winner with Bundoora in 2013 and Lower Plenty in 2011, Ryan also claimed Watsonia’s best and fairest in 2010. He has served as an assistant coach to Garry Ramsay in the past two representative campaigns and now joins Old Ivanhoe as a playing-assistant and backline coach. • Transfer applications have been re-lodged for both Billy Murphy and Daniel Caruso after initial bids were denied. Murphy is looking to join NEAFL side Aspley from Greensborough, while South Morang midfielder Caruso is attempting to find his way to Thomastown. • Epping stalwart Kevin Kiernan appears set to join Violet Town in the Kyabram District Football Netball League. Kiernan has played 121 games for the Blues, moving forward over the past four years and netting a return of 115 goals. He featured in the Blues’ 2015 and 2016 Division 3 grand final teams. • Panton Hill defender Luke Ericson appears headed for a return to Eltham. 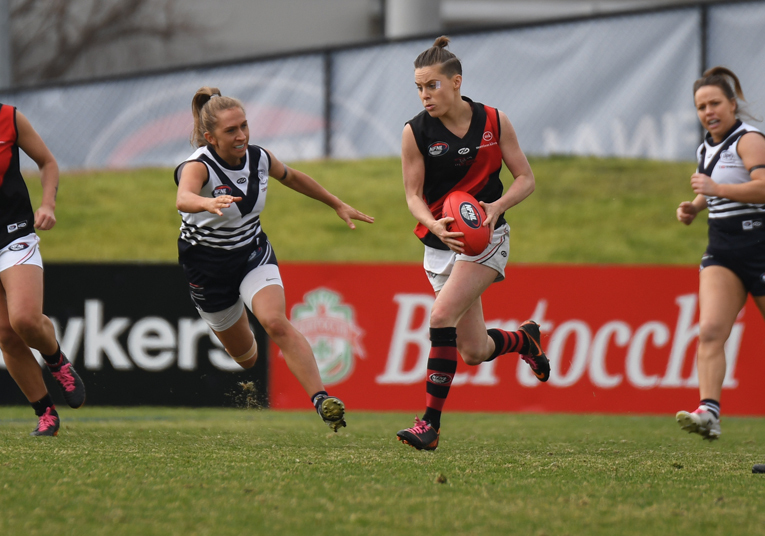 The 24-year-old played 16 matches for the Redbacks in 2018 and featured in the grand final defeat to St Mary’s. He played five senior matches for the Panthers prior to joining Panton Hill. • Footscray VFL midfielder Andrew Tashevski-Beckwith has changed his nominated local club from Heidelberg to Old Melburnians. The 21-year-old has played 48 VFL games for the Bulldogs and didn’t make an appearance for the Tigers in 2018. Livewire forward Billy Murphy could be headed to NEAFL outfit Aspley, although the initial transfer has been denied by Greensborough. Murphy was electrifying in six appearances for the Boro last season, booting 18 goals in six appearances. He polled 10 votes from the umpires in just five home and away games. The 22-year-old also booted 17 goals in 10 VFL games for Box Hill Hawks last year, taking his tally with the club to 38 goals in 31 matches. Coburg has listed permits for Hurstbridge midfielder/forward Tom Simpson and Montmorency youngster Braedyn Gillard. Simpson made his debut as a 16-year-old in 2013 and has gone on to excel in 95 appearances for the Bridges, booting 143 goals. He won the club’s best and fairest in the 2016 premiership season and finished in third place in both 2015 and 2017. Simpson has represented the NFNL at senior level the past two seasons, after guiding the under-19 representative team to a thumping win over the NFNL in 2016. He was previously a member of Essendon’s VFL squad. Gillard was captain of the Northern Knights in 2018 and played 29 TAC Cup games over the past two years. He was the winner of the club’s Under-16 Max Richardson Squad Best Player Award in 2016. Banyule premiership defender Jye Keath has been approved a transfer to Bunyip. Keath featured in the Bears’ 2017 Division 3 grand final win over South Morang and played four matches in 2018. The 33-year-old has previously played 33 WAFL games for West Perth and was captain and a best and fairest winner at Leitchville Gunbower. • Heidelberg has denied a transfer for Brydan Hodgson to join Spotswood in the WRFL. The 22-year-old defender played 11 games for the Tigers in 2018 after joining from VFL club Werribee. • Mernda submits a transfer for Jesse Inzillo. The 23-year-old has played senior football with South Morang, as well as EDFL clubs Hadfield and the Northern Saints. 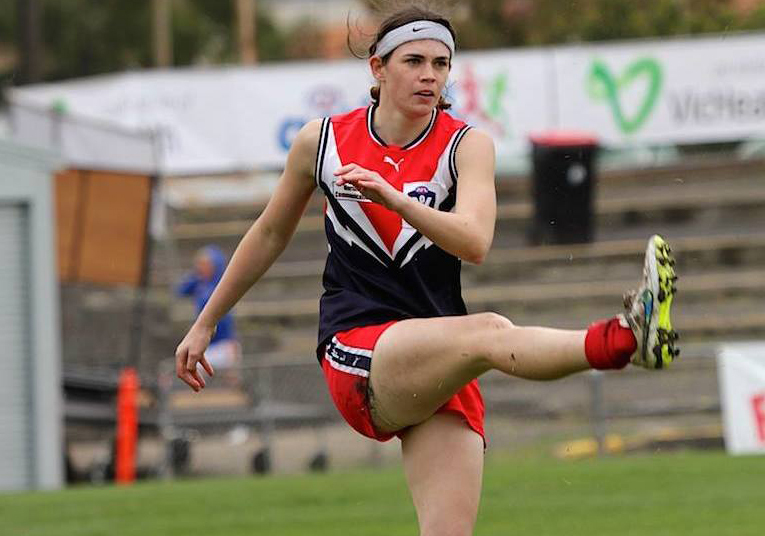 • Bundoora adds Laurimar midfielder Ellie Koiker for the 2019 NFNL Women’s season. Koiker finished runner-up for the Division 2 Women’s Coaches MVP award in 2018 and was equal-fourth in the best and fairest voting. She was also named best afield in the NFNL’s close representative loss to the South East Women’s in May. • Fellow NFNL representative player Jacinta Campbell has entered a transfer to join Colac Imperials Female Football Club. Campbell played 38 games for South Morang, and featured in the Lions’ best players in 15 of 24 matches following the club’s switch to the NFNL from the former Victorian Women’s Football League. After sitting out the 2018 season, Gerard Sutton will return to football with former club, the Preston Bullants. The small defender played 60 games for Northcote Park between 2015 and 2017 after joining from the VAFA club. He finished second in Northcote Park’s best and fairest count in 2016, before placing third in 2017. Sutton featured in the Cougars’ best players in all three finals during their run to the preliminary final in 2017. He also represented in the NFNL in the 2017 interleague win over the Western Region Football League. Sutton has previously played six senior games for the Bullants and was a former member of the Northern Blues development squad. North Heidelberg has denied Brody Tardio’s transfer request to join VAFA club Old Ivanhoe Grammarians. The 20-year-old has played 51 games for Bulldogs since 2016. He was a standout in the 2017 Division 2 grand final triumph over Diamond Creek and was picked on the wing in the 2017 Division 2 Team of the Year. 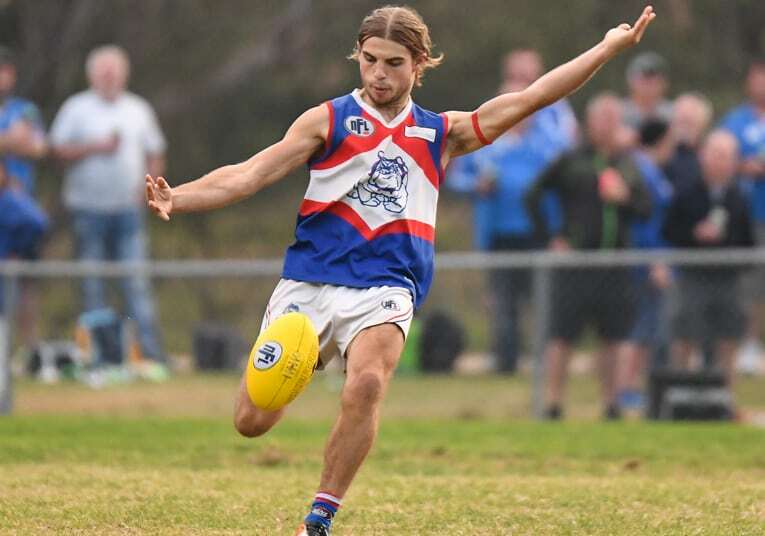 Tardio produced a strong finals series in 2018 and featured among the Bulldogs’ best players in both the qualifying final win over West Preston-Lakeside and tight semi final loss to Macleod. Macleod has lodges four transfers, including a request for ruckman Adam Swierzbiolek, who the club signed in November. Muhammad Saad, brother of Essendon defender Adam is also on his way to De Winton Park. The former Calder Cannons product played with Gold Coast in the NEAFL in 2017, before returning to Melbourne last year and linking up with West Coburg in the EDFL, where he played 10 games. He will be joined at Macleod by Sahand Ghasimzadeh, who joins the Roos from PEGS. The 25-year-old was formerly a member of Collingwood’s VFL squad. He played 54 senior games for PEGS over the past four seasons and has also played senior football with North Brunswick. Former Banyule and West Preston-Lakeside tall Andreis Jurgens is also headed for De Winton Park. Jurgens played five matches for the Bears last year, including the preliminary final defeat to Lower Plenty. Coburg key forward Peter McEvoy has listed Bundoora as his nominated local club in 2019, switching from Montmorency. McEvoy is the sole member of Coburg’s 2018 leadership to remain with the VFL club this year. He has kicked 51 goals in 40 VFL appearances for the Lions, having also spent time with the Box Hill Hawks. McEvoy made one appearance in the NFNL last season, booting two goals in Montmorency’s Round 7 win at Whittlesea. • Williamstown has lodged a permit to retain Diamond Creek Women’s duo Kaitlin Smith and Ashlea Melnikas for the 2019 VFL Women’s season. Smith featured in 10 VFL games for Williamstown last season after 25 VFL games for Diamond Creek, while Melnikas played eight games for the Seagulls in 2018. Both were members of Diamond Creek’s NFNL Women’s Division 1 grand final team in 2017. • Reservoir has submited transfer applications for six players. They include West Preston-Lakeside’s Daniel Sebeh, former Parkside and Greenvale player Matthew Hands, Andrew Ghiller (Sunshine Heights), Zacharias Cookson (Tyabb), Dwayne Tennyson (Fitzroy Stars) and Luke Hadden from Russells Creek. • Lalor has added to its list of new recruits by adding Western Australian youngster Matthew Whitaker to its 2019 playing squad. Whitaker joins from Bullcreek Leeming to team up with former teammate Daniel Moore, who finished runner-up in the Bloods’ best and fairest last year. Williamstown submits a permit to retain West Preston-Lakeside premiership player Jaylon Thorpe for the 2019 VFL season. Thorpe booted 10 goals in nine VFL appearances for the Seagulls in 2018 after crossing from the Northern Blues. He also played eight games for West Preston-Lakeside during its Division 1 premiership campaign, including the nine-point grand final win over Macleod. The tall utility has played 31 senior games for the Roosters since making his debut in 2015. • Daniel Haynes will return to Queensland outfit Sandgate after spending the 2018 season with North Heidelberg. Haynes impressed with the Bulldogs’ reserves, but struggled to break into the strong senior line-up – making two senior appearances. • St Mary’s has lodged a transfer for Eltham youngster Jack Dean. The 20 year-old played three senior games in 2018 and was a member of the Panthers’ reserves premiership team. He was also among the best players on the ground in Eltham’s 2017 Division 1 under-19 grand final win. Bundoora announces the signings of Mark Pavlovski, Sam Willatt and John Jorgensen. Pavlovski returns to the Bulls after one season with Hurstbridge. 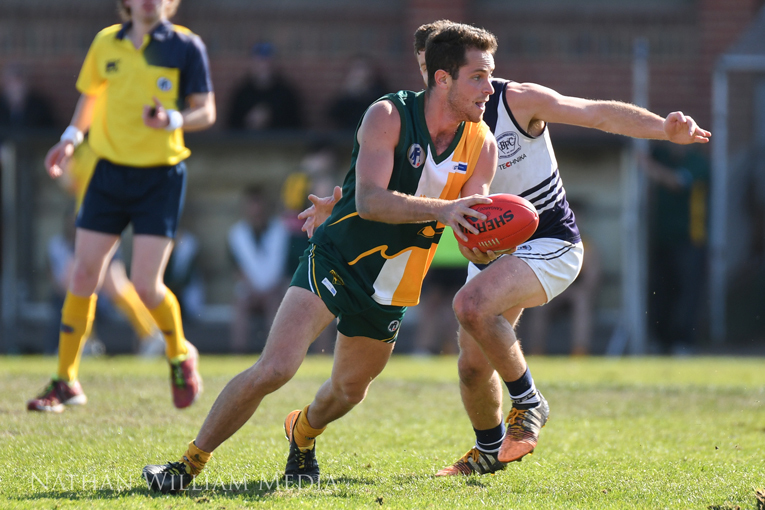 The 2015 Division 1 under-19 best and fairest winner and two-time under-19 representative player made 14 senior appearances for the Bridges in 2018. He will now look to add to his seven senior games for the Bulls, which includes four during the club’s 2017 premiership campaign. Willatt has played senior football with EDFL powerhouse Keilor, while Jorgensen is a young key forward who kicked 48 goals in the VAFA under-19 competition last year while playing with Fitzroy. The Bulls have also entered a transfer request for Ajieng Athiuay, who has played senior football with Dunolly and Airport West over the past three seasons. Eltham lodges a transfer that will see Matt Williamson return to the club in 2019. Williamson played 111 games for the Panthers between 2012 to 2016, kicking 92 goals. The key position player booted 27 goals in 2015 to help the Panthers to a third-place finish in Division 1. Among his best performances was a four-goal haul in the preliminary final loss to eventual premier Macleod. Williamson has spent the past two seasons with Sunshine and Avondale Heights. Laurimar submits transfers for Watsonia midfielder Kieran Sheehan and Tongala’s Joel Regan. Sheehan played 15 matches in 2018 after joining Watsonia from Northern Saints, where he served as a playing-assistant coach. Regan has previously been a Kyabram District Football League representative and has played senior football with Tongala, Girgarre, Picola and South Australian club Mitchell Park. Diamond Creek welcomes back Brent Gutterson to Coventry Oval. Gutterson kicked 209 goals in 77 matches in his previous stint with the Creekers. He has spent recent seasons with East Burwood, St Kilda City and Old Eltham Collegians. The Creekers have also signed Kilcunda Bass youngster Sean Casey and Northern Knights tall Joel Randall. 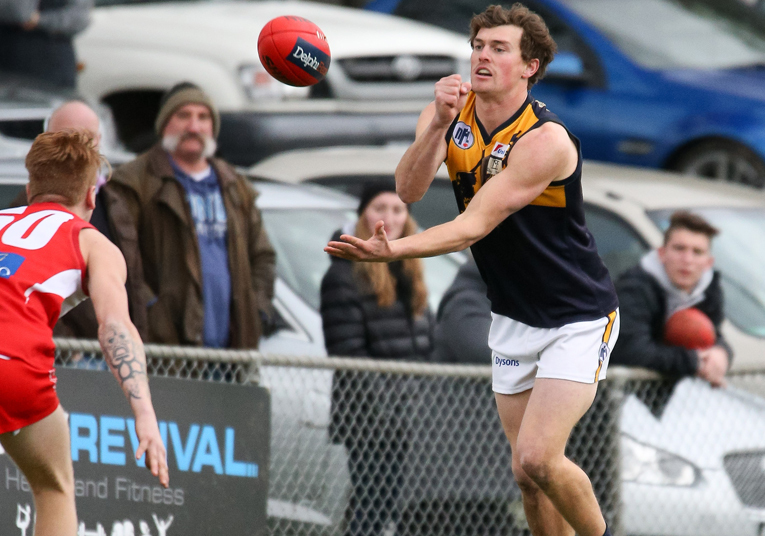 19-year-old Casey featured in the the West Gippsland FNL club’s best players in seven of 12 games in 2018. Randall played 17 matches for the Northern Knights last year and also impressed in his sole appearance for St Mary’s in its Round 14 win over Panton Hill. Kilmore has signed former Eltham and Shepparton United defender Stephen McIntyre. The 31-year-old defender didn’t play in 2018 after suffering an injury while playing with the Panthers during the 2017 Division 1 season. McIntyre has previously suited up for the Blues, playing five senior games for the club back in 2006. He played 57 games with Shepparton United between 2014 to 2016 and has also played senior football with Prahran Assumption and Avondale Heights. Kilmore has also submitted a transfer for 19-year-old Caulfield young gun Chris Ryall, who featured in the Southern Football Netball League club’s best players in 10 of 12 matches in 2018. • Former Hurstbridge co-captain Sean Jellie lodges a transfer to join teammate Tom Grimes at Warrandyte. A two-time premiership winner, Jellie played 149 senior games for the Bridges. • Diamond Creek looks set to lose Tim Chapman after 84 games with the club. Chapman, who finished third in the best and fairest in the club’s 2017 grand final campaign, has entered a transfer to join Barwon Heads. • Williamstown signing Sean Gregory has switched his home club from North Heidelberg to Pascoe Vale. 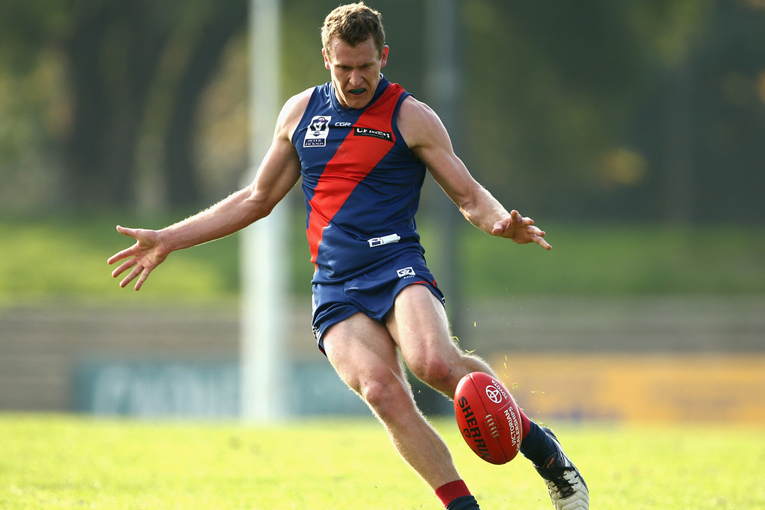 The key defender played 15 VFL games for Coburg in 2018 to take his career tally to 76. He didn’t make an appearance for the Bulldogs. • Sabrine Navarro looks set to join Port Melbourne after impressing for Keilor in the Blues’ charge to the Division 1 Women’s grand final in 2018. Navarro finished equal-second in the competition best and fairest voting and was named in the Division 1 Women’s Team of the Year. • Watsonia midfielder Billy Hawkes will link up with Matthew Gibbs at Bears Lagoon Serpentine. Hawkes played 14 games for the Saints in 2018, with his best performance a five-goal effort against Epping in Round 16. Hawkes had previously spent time on the development lists of VFL clubs the Northern Blues, Williamstown and Coburg prior to joining Watsonia. • Epping’s Jake Cullen has submitted a transfer to join Violet Town. Cullen played 32 senior games for the Blues, including 13 in 2018. He was a member of the 2016 Division 3 grand final team that lost to Watsonia. Heidelberg unveils goal kicking midfielder Jack Blair as its latest signing. The younger brother of Collingwood premiership player Jarryd, Blair has been a member of the the Magpies’ VFL squad for the past five seasons. 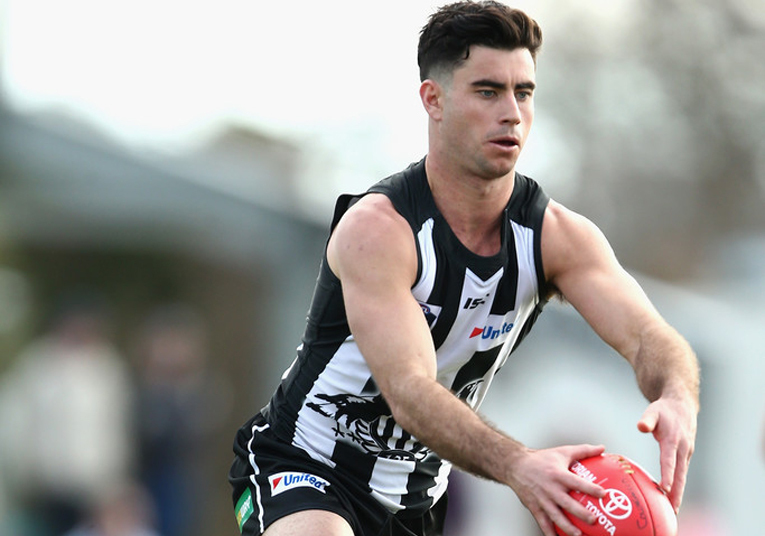 He has made 37 VFL appearances for the Magpies, including 11 in 2018. Blair has also played 81 senior games for Wonthaggi in the Gippsland League. Heidelberg has signed highly regarded midfielder Anthony Bonaddio. A standout with the Northern Knights during the 2012 TAC Cup season, Bonaddio was considered unfortunate to miss out on selection in both the National and Rookie drafts. He joined West Preston-Lakeside in 2014 and finished third in the best and fairest after featuring in the Roosters’ best players in eight of 18 matches. Bonaddio spent the 2015 season with Elmore in the Heathcote District Football Netball League and now returns to football with the Tigers. North Heidelberg has announced the resignation of senior coach Jimmy House for personal reasons. House claimed the 2018 AFL Victoria Northern Region Senior Coach of the Year award after guiding the Bulldogs to the Division 1 preliminary final last year. It was a history-making campaign by the Bulldogs, who became the first reigning Division 2 premier to play finals in the top flight the next season. Former Brisbane Lions and Carlton midfielder Tom Bell has signed on as a playing-assistant at Greensborough. Bell played 50 games for Carlton between 2012 to 2015, before adding another 21 with the Lions – the last of which was in Round 1 last year. He won Carlton’s Best First Year Player award in 2012, before finishing tied for fourth in the 2015 best and fairest. It was his best season at AFL level, playing every match and averaging 21 disposals a game. Bell has signed a two-year deal with the Boro and further strengthens the club’s midfield stocks following the signing of Ben Fennell earlier this off-season. Star forward Jackson Starcevich will line up with Northcote Park on a full-time basis in 2019. The 25-year-old has shared his time between the Cougars and VFL outfit Collingwood over the past two years. Starcevich has kicked 47 goals in 15 appearances in the NFNL, with the Cougars boasting an 11-4 record in matches he has played. The tall forward kicked 38 goals in 15 matches in 2017 and led the competition best and fairest award prior to sustaining an injury in Round 14. He was named at full forward in the Division 1 Team of the Year. Starcevich further bolsters Northcote Park’s tall stocks, following the pre-season signing of former Sydney Swans-listed ruckman Kyle Galloway. Greensborough provides an early Christmas present to its supporters, unveiling new recruits Ben Fennell, Liam Read and Damon Marcon. Fennell joins the Boro after two injury-ravaged seasons but has proven himself to be one of the competition’s most damaging midfielders. The 26-year-old has starred for both Montmorency and Hurstbridge and this year played three VFL games for Essendon, before suffering a ruptured spleen in the Bombers’ Round 7 win over Geelong. Fennell has represented the NFNL in interleague matches on two occasions and in 2016 was named rover in the Division 1 Team of the Year after finishing equal-second in the Coaches MVP award. A member of Hurstbridge’s 2010 Division 3 premiership team, Fennell has kicked 192 goals in 119 senior matches in the NFNL. Read joins from Riddell, where he featured in the Riddell District Football League grand final defeat to Diggers Rest. He was named in the club’s best players in nine of his 18 matches in 2018. Read adds to Greensborough’s ruck stocks, with the club also likely to be bolstered by the return of Jake McNamara from a knee injury. Marcon was named in the 2018 Division 2 Team of the Year after booting 39 goals in 18 appearances for Epping, finishing second to Banyule’s James Kroussoratis on the goal kicking table. The 24-year-old is a proven goal kicker, having also kicked 190 goals in 82 appearances for VAFA club Preston Bullants. Former Collingwood half back Adam Oxley has signed with Division 2 runner-up Eltham, joining former Magpies teammate Brent Macaffer. Oxley played 34 AFL games, including three during the Magpies’ 2018 grand final campaign. He will continue with the Magpies’ VFL side in 2019, with Eltham to be listed as his nominated home club. Oxley’s best season at Collingwood came in 2015 when he played 17 matches and averaged 19 disposals. However his AFL career was halted by hip and groin injuries over the next two seasons. North Heidelberg trio Liam Hunt, Jesse Tardio and Jhye Baddeley-Kelly have signed with Williamstown for the 2019 VFL season. A member of the 2017 VFL Team of the Year, Hunt joined the Bulldogs in 2018 after 55 VFL games with Coburg. He was a key contributor in the Bulldogs history-making Division 1 finals campaign, named in the best players in eight of his 15 games and kicking 16 goals. Tardio has been one of North Heidelberg’s most consistent performers over the past five seasons. He won the best on ground medal in both the 2014 and 2017 Division 2 grand final triumphs and has finished in the top five of North’s best and fairest in three of the past four years. Tardio was named in the 2018 Division 1 Team of the Year and in the Division 2 Team of the Year in both 2016 and 2017. Baddeley-Kelly represented both the NFNL and Vic Metro in 2018 and was named in the back pocket in the Division 1 Team of the Year. He joined the Bulldogs after winning Lalor’s best and fairest in 2017. The transfer period has closed for the Christmas period. The window will re-open on February 1. North Heidelberg makes the biggest wave on the final day of the transfer period ahead of the Christmas closure, signing Western Bulldogs premiership defender Shane Biggs. A member of the Bulldogs’ 2016 grand final win over Sydney, Biggs played 63 AFL games before surprisingly announcing his retirement in August. Biggs was rookie-listed by Sydney in 2012. He played six games over two years with the Swans before being traded to the Bulldogs at the end of the 2014 season. He enjoyed a career-best season in 2016, averaging 21 possessions a game as the Bulldogs claimed their first flag since 1954. In particular, he was hailed by Bulldogs fans for a number of desperate efforts in the lead-up to Liam Picken’s match winning-goal in the grand final. The play that summed up the 2016 @westernbulldogs. Biggs will be joined at the Kennel by Coburg-listed young gun Nicholas Dodge. Dodge missed the 2018 season with a knee injury but played 12 VFL games for Coburg in 2017. He represented the Tassie Mariners in the TAC Cup in 2016 and kicked 89 goals in 59 senior matches for Lauderdale in the Tasmanian State League. Luke Collins is on the move after seven years with Montmorency. The 24-year-old has signed with Division 1 rival Bundoora. Collins made his debut in 2012 and played 99 senior games for the Magpies, including the 2013 grand final loss to the Bulls. The midfielder has also spent time with VFL clubs Casey, the Northern Blues and Essendon. He featured in four VFL games for the Bombers this year, yet still managed a fifth-place finish in Montmorency’s best and fairest. Epping has announced a change in coach, with Aaron Johnson to take the reins from Greg Whitcroft for the 2019 Division 2 season. Johnson had been named as an assistant to Whitcroft last month, however in a statement the club said that time commitments had forced Whitcroft to step aside after three seasons as senior coach. “Last night Greg announced to the players and committee that he was stepping down as senior coach,” the statement said. “Greg has had some significant changes in his work position and unfortunately these changes have impacted on his ability to give 100 percent to the coaching role. “Greg said it would be unfair to the players and club to continue coaching when he can’t commit the time the role requires. • Thomastown submits a transfer for young Macleod tall Brayden Plant. The 20-year-old made seven senior appearances for the Roos this year. • Luke Chapman will return to Kilmore in 2019 after spending the 2018 season at Craigieburn. Chapman kicked 12 goals in 16 appearances for the Blues in 2017, helping the club to a fifth-place finish on the Division 3 ladder. North Heidelberg enters transfer applications for five players, including Jacob Sincock, Jarrod Fitzpartick, Nyaburu Kelly and Gazi Assi. Standing 201cm, Sincock will further bolster the Bulldogs ruck stocks and offer support to 2018 Division 1 Team of the Year ruckman Michael Florance. The 20-year-old hails from Coffs Harbour and was a member of the Sydney Swans academy. He has featured in the Swans’ NEAFL team and has also played more than 50 senior games with Coffs Habour in the AFL North Coast league. He will be joined at Shelley Reserve by Fitzpatrick, a goal kicking midfielder who has won consecutive best and fairest awards at Marong over the past two seasons. 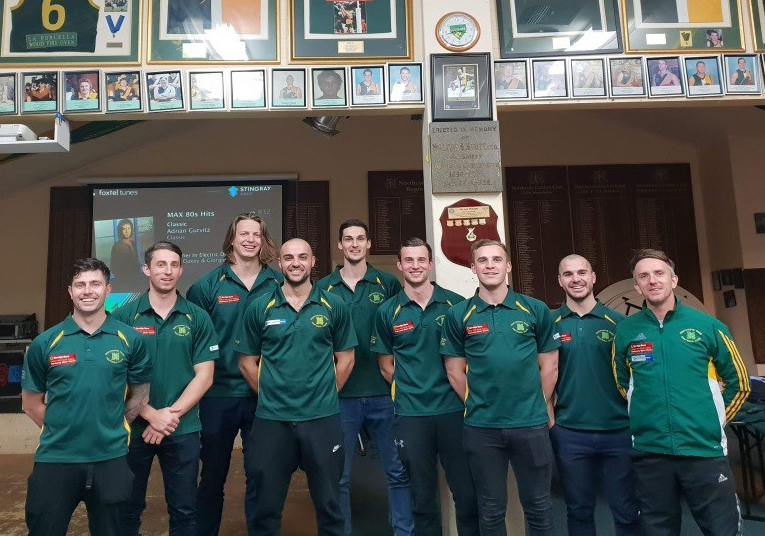 The 25-year-old represented the Loddon Valley Football League at the AFL Victoria Community Championships this year and has previously played senior football at Strathfieldsaye and Boort – debuting for the latter at just 16. Both Kelly and Assi are looking to return to their former club. Kelly, whose initial transfer application has been denied by Portarlington, spent the 2010 season with the Bulldogs. He has since won a NEAFL premiership with NT Thunder in 2011, an NFNL premiership with Northcote Park in 2012 and the Central Murray Football League best and fairest while playing with Tooleybuc Manangatang in 2015. In more huge news, former Macleod co-captain Hamish Paynter has entered a transfer to join Diamond Creek – however the move has been blocked by the Kangaroos. Paynter has been a vital cog in Macleod’s rise into a Division 1 powerhouse over the past five years. He was among the best players on the ground in the Roos’ 2015 grand final win over Greensborough – kicking two goals to help the club win its first Division 1 premiership since 1971. He also featured among his side’s best players in each of the past three grand final defeats – proving his status as one of the competition’s best big-game players. Paynter has represented the NFNL at interleague level on three occasions and has twice been named in the Division 1 Team of the Year. Andrew Lovett will return to the Fitzroy Stars, continuing the club’s active pre-season recruiting campaign. Lovett played 88 AFL games for Essendon before joining the Stars in 2011. He has spent recent seasons with Port Melbourne Colts, Sorrento and Red Cliffs but returns to Sir Douglas Nicholls Oval in 2019 to link up with his brother, fellow recruit Ethan Penrith. Penrith will continue to play with the Northern Blues, where he played 16 VFL games in 2018, but has nominated the Fitzroy Stars as his home club. The former Northern Knights product has also played senior football with both West Preston-Lakeside and Northcote Park. Meanwhile, Thomastown looks set to add Kane Slater for the 2019 A Plus Labour Solutions Division 2 season. The talented small forward has endured two injury-plagued seasons, managing just four senior games over the past two years. Slater played 35 games during his four-year stint with Bundoora and previously played 19 games with Northcote Park, where he averaged a goal a game. Old Eltham Collegians continues to sign new faces ahead of its inaugural season in the NFNL. The Turtles have signed 20 new players ahead of the 2019 season. VFL powerhouse Williamstown has signed Montmorency star midfielder Ben Kennedy on a two-year deal. 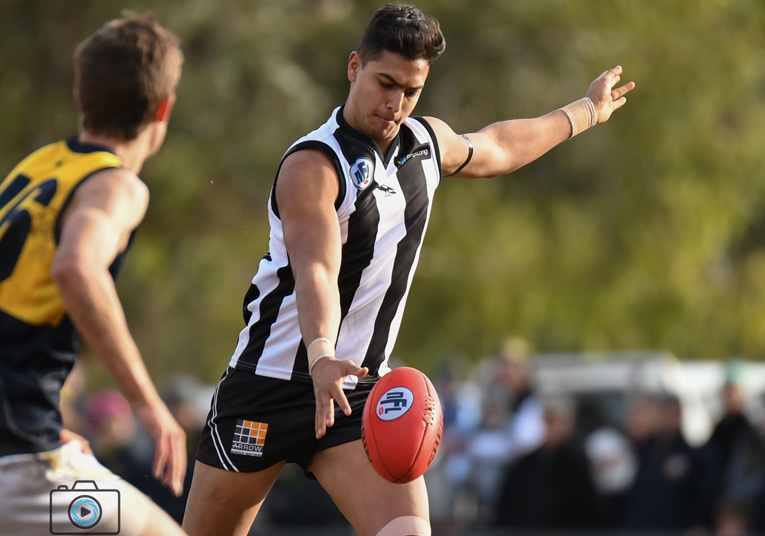 Kennedy was a standout for the Magpies in 2018, winning the club best and fairest and finishing runner-up to Northcote Park utility Paul Dirago for the Division 1 Coaches MVP award. He joined Montmorency after 40 AFL games for Collingwood and Melbourne between 2013 to 2017. Kennedy has previously played 60 VFL games for Collingwood and Casey Demons. This one will get tongues wagging. Former Pie and Demon Ben Kennedy has signed a two-year deal with the Seagulls. In another major boost, the Fitzroy Stars have announced the return of two-time club best and fairest Peter Hood. Hood enjoyed a terrific 2018 season with Bundoora, finishing third in the Division 1 competition best and fairest voting and named in the Division 1 Team of the Year. He also featured in the Division 2 Team of the Year each season from 2015 to 2017. Hood represented the Stars at the 2018 Koori Football & Netball Carnival in October, where he picked up the best on ground medallion in the club’s Division 1 grand final win over Mallee Tigers. A member of the Stars’ 2013 grand final team, he also represented the NFNL at the 2016 AFL Victoria Community Championships. Lalor has announced the signing of West Preston-Lakeside premiership player Josh Novelli. The 21-year-old small forward booted 17 goals during the Roosters’ 2018 premiership campaign and returned for the nine-point grand final win over Macleod after missing the preliminary final through injury. Novelli has played in 34 of a possible 41 matches over the past two seasons. He joins the Bloods having kicked 33 goals in 38 appearances at Division 1 level with the Roosters. Meanwhile, Laurimar has made a host of transfer applications ahead of the closure of the transfer window for the Christmas break. Among the new names headed to Laurimar Reserve in 2019 are Epping utility Jordan Wilkins, St Mary’s goal kicker Jesse McKinnon and Mernda youngster Brayden Gardiner. After missing the 2017 season, Wilkins featured in all 18 games for Epping this season and was rewarded with a seventh-place finish in the club’s best and fairest award. McKinnon has made only three senior appearances for St Mary’s but has been a proven goal kicker at both under-19 and reserves level. Gardiner returns to his junior club after featuring in six senior matches for Mernda in 2018. He was named in the Demons’ best players in three successive games between Round 4 to 6. Elsewhere, Whittlesea junior Joel Naylor has joined Romsey for the 2019 Riddell District Football League season. Naylor has spent the past three seasons with the Northern Knights in the TAC Cup and also played four VFL games with the Northern Blues this year. Thomastown lodges a transfer for South Morang star midfielder Daniel Caruso, although the application has been denied by the Lions. Caruso finished runner-up to Heidelberg West ruckman Jarryd Coulson for the 2018 Division 3 best and fairest award. He has twice been a member of the Division 3 Team of the Year and has kicked 48 goals in 52 appearances for South Morang since making his senior debut in 2016. In better news for South Morang, former best and fairest winner Jake Potter has returned to the club after one season with Montmorency. The 2014 club champion and three-time representative in the Division 3 Team of the Year impressed in his sole season in Division 1, appearing in the Magpies’ best players in five of his 16 matches. He now returns to the Lions’ den, where he has made 67 appearances. After a busy month of incoming transfers, Fitzroy Stars suffer their first departure with 2018 club champion Steven Stallion entering a transfer to join Cobram. Stallion was a standout in a difficult 2018 campaign for the Stars, winning the best and fairest after featuring among the club’s best players in 12 of his 15 matches. He was one of only two players from the Stars to feature in the 40-man squad ahead of the selection of the 2018 A Plus Labour Solutions Team of the Year. However, the loss of Stallion could be offset by the return of Djye Thorpe-Morgan after three seasons with the Port Adelaide Magpies reserves team. 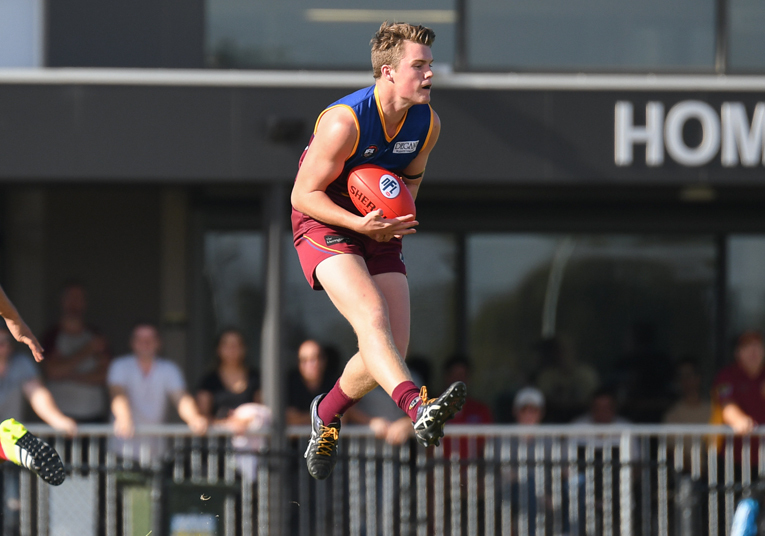 The 21-year-old has committed to Williamstown for the 2019 season, but has listed the Fitzroy Stars as his nominated home club. Thorpe-Morgan played 20 senior games for the Stars between 2014 and 2015 before returning to South Australia. Fremantle formally lodges a transfer for new recruit Lachlan Schultz. Schultz was drafted to the Dockers with pick No. 57 in the 2018 AFL Draft after impressing with Williamstown over the past three years. The 20-year-old listed Northcote Park as his nominated home club earlier in 2018, but didn’t feature in an NFNL game after producing a standout VFL campaign with the Seagulls that included 24 goals in 20 games. • Epping has signed 20-year-old sharpshooter Tom Burnside from East Sunbury. The former Calder Cannons and Coburg development forward has played 17 senior matches in the EDFL. He was named in the forward pocket in the 2017 EDFL Division 2 Team of the Year after kicking 34 goals in 15 matches. • Whittlesea has lodged a transfer for Yea youngster Lachlan Beattie. The 19-year-old has played 30 senior matches in the AFL Yarra Ranges Football League and in 2018 was represented the league at under-19 level in the AFL Victoria Community Championships. • Lower Plenty has added Northcote Park’s Matthew Perazzola as it prepares for its move back into the top flight. Perazzola made four senior appearances for the Cougars. He kicked two goals and was among the NFNL’s best players in the under-19 representative defeat to the MPNL in the 2018 AFL Victoria Community Championships. Diamond Creek makes its first moves in the transfer window, lodging applications for Benalla duo James Marchbank and Thomas Bennett, along with Heidelberg young gun Oliver Stapleton. Marchbank, the younger brother of Creekers ruckman Josh, joins after 50 games with the Goulburn Valley Football League club. An Eltham junior, he was a Northern Knights representative across the 2014 and 2015 seasons. Bennett is a two-time GVFL representative player and has finished in the top-three of Benalla’s best and fairest in each of the past two years. He played in Benalla’s 42-year drought breaking premiership win in 2015. Bennett joins the Creekers after 92 matches for Benalla and was named among his former club’s best players in 18 of his past 34 games. Nineteen-year-old Stapleton was one of Heidelberg’s best players in its Division 2 under-19 grand final win in September. He played 11 senior matches for the Tigers after debuting in 2017 and featured for the Northern Knights in 19 TAC Cup matches between 2016 and 2017. Watsonia big man Sam Peet is on the move after lodging a transfer to join WRFL outfit St Albans. The 21-year-old played every game in his only season for the Saints in 2018, booting 16 goals and finishing fourth in the club’s best and fairest count. The former Northern Knights representative has previously played at Whittlesea and spent time with the Northern Blues development squad. A great day for Hurstbridge with the return of key forward Bailey Jordan and midfielder Jack Furlong. Jordan returns to his junior club following stints at VFL level with Northern Blues and SANFL club Glenelg, along with NFNL outfits Heidelberg and Banyule. He had a standout 2018 campaign with Banyule, booting 35 goals in 17 matches to be named at centre half forward in the Division 2 Team of the Year. Furlong has previously played 28 senior matches with Hurstbridge, before moving to Bundoora in 2016. He was a regular with the Bulls in his first two seasons at the club and featured in the 2017 Division 1 grand final win over Macleod, before being restricted to just three matches in 2018. The 22-year-old was also signed to Essendon’s VFL list during his time at Bundoora. 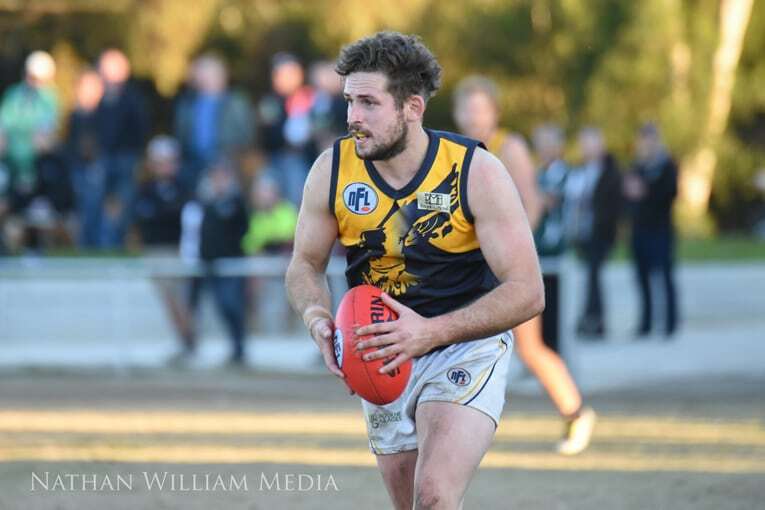 Whittlesea skipper Andrew Fairchild enters a transfer to Kinglake, where he has accepted the coaching role for the 2019 season. A four-time premiership winner with Greensborough (2006) and Whittlesea (2010, 2013 and 2015), Fairchild has been one of the most decorated players in the NFNL over the past decade. He booted 183 goals in 64 appearances for the Boro, before kicking 399 goals in 142 games for the Eagles. The key forward also represented the NFNL at interleague level, booting two goals in the 2016 AFL Victoria Community Championships clash against Mornington Peninsula Nepean Football League. The long-time Whittlesea captain has also served as a playing-assistant coach over the past three years and takes the reins of the AFL Yarra Ranges club in a playing-coach role. Among the players joining Fairchild at Kinglake are Whittlesea teammate Chris Horman, Mernda on-baller Les Adams, Eltham defender Rohan King and Laurimar youngster Joel McDonald. Horman featured in 105 matches for the Eagles after joining from Thomastown in 2012 and was a member of the club’s 2013 and 2015 grand final winning teams. He also won a flag with the Bears in 2008. Adams has played more than 200 games for Mernda and Epping. He was part of the Blues’ 2012 premiership team and won the Division 3 MVP award with Mernda in 2016. McDonald has been a regular in Laurimar’s line-up during the club’s first two seasons at senior level, while King, who didn’t play a game in 2018, has played senior football with Eltham, North Heidelberg, Craigieburn and Bundoora. Macleod has announced the signing of Coburg and East Ringwood ruckman Adam Swierzbiolek. The 24-year-old played six VFL games for the Lions in 2018 and joins the Roos as cover for Jack Langford, who has returned to junior club Banyule. Swierzbiolek has also played senior football with Waverley Blues. 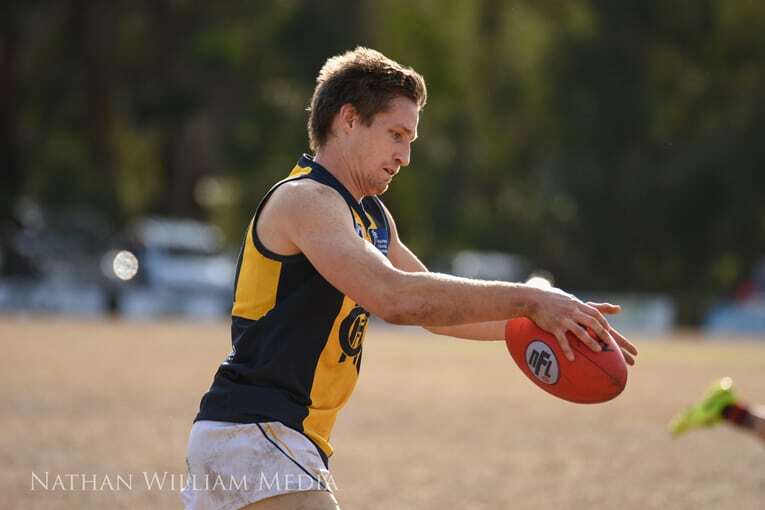 Tom Grimes has submitted a transfer to join Warrandyte after 61 senior games with Hurstbridge. A former Northern Knights representative, Grimes played a starring role in the Bridges’ 2016 Division 2 grand final win over North Heidelberg. The versatile tall kicked a career-high 17 goals during the 2018 season. Reigning Division 3 Women’s best and fairest winner Rainbow Ebert has requested a transfer from Bundoora back to former club Roxburgh Park. The 19-year-old was the dominant player in the ANZ Women’s Division 3 competition this year, finishing four votes clear of her closest rival in the best and fairest award. She also took out the club best and fairest award and was instrumental in the Bulls’ grand final win over Eltham, which capped an undefeated season for the club in its inaugural season in the women’s competition. Watsonia appears set to lose best and fairest runner-up Matthew Gibbs after just one season with the club. Gibbs finished second to skipper Matthew Crompton in the best and fairest voting after being named in the Saints’ best players in 10 of 16 matches. The midfielder joined Watsonia from Dunolly but is now looking to join Bears Lagoon Serpentine in the Loddon Valley Football League. Northcote Park announces the signing of 21-year-old former Sydney Swans-listed ruckman Kyle Galloway. Hailing from Deniliquin, Galloway was drafted as a category B rookie in 2015 and spent one season with the Swans. He played eight games for Caroline Springs in the WRFL in 2018, but has linked up with the Cougars in 2019 to help bolster the club’s tall stocks as it shoots for a return to September action. A former Vic Metro representative, Galloway has also spent time with VFL outfit Werribee and TAC Cup side Murray Bushrangers. Montmorency submits a transfer for NFNL representative defender Jai Robinson. The 25-year-old has spent the past four seasons with Whittlesea, winning the Eagles’ best and fairest in both 2016 and 2017. Robinson has also represented Mernda and South Morang and has VFL experience with Coburg. Watsonia’s bid to lift itself off the bottom of the Division 2 ladder has received a welcome boost, with former Sydney Swans-listed midfielder Tyrone Leonardis among five players set to join the club in 2019. Leonardis, 21, crosses from Montmorency – where he played four games in 2018 between appearances with North Melbourne’s VFL side. The strong-bodied midfielder will continue with the Kangaroos in 2019 and will be available to play with the Saints when his VFL commitments allow. 2016 premiership stars Hayden Mitchell and Xavier Kelly will also return to the club after two seasons away. Mitchell was a standout in his previous three-year stint with Watsonia, featuring in the best players in 33 of his 53 appearances, while also kicking 70 goals. He won the club’s best and fairest in 2014, before finishing fifth in 2015 and second in the 2016 premiership season. Kelly also made a big impression in his sole season with the Saints, finishing fifth in the best and fairest and named back pocket in the Division 3 Team of the Year. He was also among the best players on the ground in the grand final win over Epping. Young goal kicker Vincent Nativo will also return after missing the 2018 season, while West Preston-Lakeside duo Aydin Dani and Julian Maloni have crossed from J.E. Moore Park to team up with new coach George Lattouf. Dani played five senior matches for the Roosters during their 2018 premiership campaign and has also appeared for Northcote Park. Maloni is a noted goal kicker and booted 98 goals in 48 reserves matches for the Roosters. He topped the Division 1 under-19 goal table in both 2014 and 2015, kicking 138 majors across the two seasons. After waving goodbye to a number of its stars over the past two weeks, Bundoora begins its list rebuild by making transfers for five players. Among the new faces at Yulong Reserve in 2019 will be former VFL star Daniel Venditti, Matthew Evans, Brenton Briffa and Mernda pair Liam Gray and Adrian Stefanile. Venditti, the brother-in-law of new Bulls coach Andrew Sturgess, is a three-time best and fairest winner at Coburg. He has also played with Perth in the WAFL and this year starred for Beaufort in the Central Highlands Football League. Evans has previously played seven matches at Bundoora, before spending the past four seasons at Eltham and, more recently, Avondale Heights. He was a key member of the Panthers line-up that featured in the 2015 Division 1 preliminary final. Briffa joins after 121 games and two premierships with Whittlesea. The midfielder, who played important roles in both the 2015 and 2013 Division 2 grand final triumphs, was restricted to just five games in 2018. Gray and Stefanile have both been regulars in Mernda’s senior line-up in recent years, playing 69 and 71 games respectively. Each has enjoyed a top-five finish in the club’s best and fairest over the past two years, with Gray finishing equal-fourth in 2018, while Stefanile was fifth in 2017. Krystal Cullinan enters a transfer to join Diamond Creek Women’s after a sensational debut season with Eltham in the NFNL women’s competition. Cullinan won the best on ground medallion in the Panthers’ Division 3 grand final loss to Bundoora. She featured among the best players in 10 of 12 matches and was named in the ANZ Women’s Division 3 Team of the Year. Banyule has continued its productive off-season by signing Lake Boga duo Luke Giles and Reuben Blackmore-Moore. Giles returns to the Bears after spending the past two years in the Central Murray Football Netball League. He featured in the NFNL Division 3 Team of the Year in both 2015 and 2016 and finished inside the top five of the Bears’ best and fairest count in both seasons. 22-year-old Blackmore-Moore was named among his side’s best players in 13 of 14 matches in 2018. He has previously kicked 92 goals in 52 appearances for Ivanhoe and in 2017 won the VAFA club’s best and fairest award. It has been a productive few days for the league’s newest club, Old Eltham Collegians. The Turtles have made 10 transfer applications over the past 72 hours as they prepare for their inaugural season in the NFNL’s Division 3 competition. 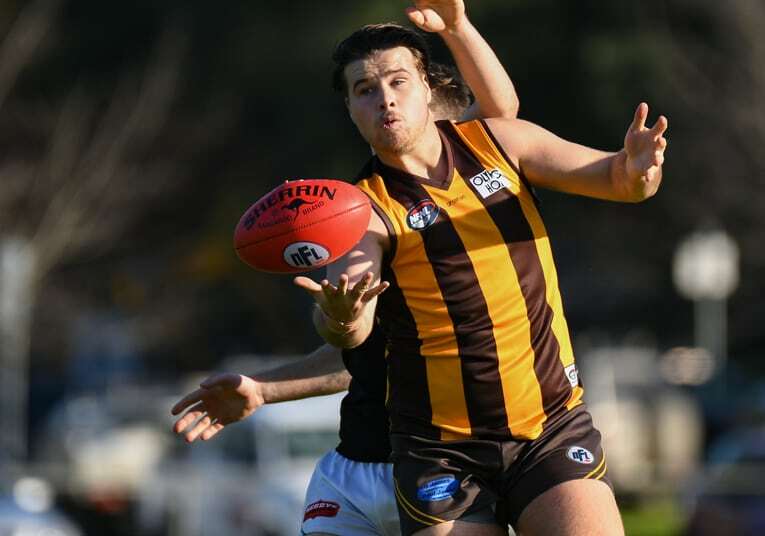 After announcing their signings in October, Banyule enters transfers for NFNL stars Ricky Dyson and Jack Langford, along with boom recruits Tim Martin and Mitch Lovell. Dyson – the brother in law of new Bears’ coach Paul Harris – joins the club after six years at Bundoora. He was playing-coach of the Bulls for the past two seasons and lead the club to the 2017 Division 1 flag, after also featuring in the 2013 premiership triumph. He joins former Essendon teammates Scott Gumbleton and Brent Stanton at R.J. Brockwell Oval, although his on-field availability will be limited after also signing on as backline coach with Essendon’s VFL side during the off-season. Langford returns to his junior club after spending the past five years with Macleod, where he booted 78 goals in 71 appearances. The versatile tall was a member of the Roos’ drought-breaking Division 1 premiership team in 2015 and also featured in the 2017 and 2018 grand final defeats. Langford, who finished fourth in Macleod’s best and fairest voting in 2018, also brings an Essendon link to the Bears, after playing 31 games for the Bombers’ VFL side between 2014 to 2016. Martin joins from Sandhurst and is a two-time winner of the Bendigo Football League’s best and fairest award, the Michelsen Medal. 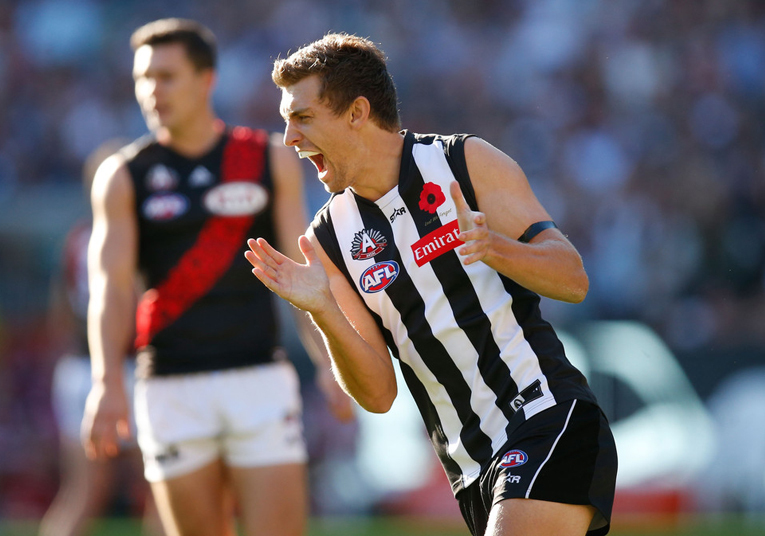 He won the award in 2013 and 2014, before leading Sandhurst to the 2016 premiership. The ruckman has twice represented the Bendigo Football League at interleague level and has also had stints in the VFL and WAFL, with Port Melbourne and East Perth respectively. Lovell adds to Banyule’s attacking prowess after booting 240 goals in 95 matches for Ivanhoe. The 24-year-old was named captain of the VAFA club at just 19 years of age and booted 78 goals during the 2015 season to guide his side to the Division 2 grand final. Bundoora utility Damandeep Aujla becomes the fourth player to make a move from Yulong Reserve this off-season. The 22-year-old played 28 games with the Bulls, including 17 during the 2018 season, but is headed to Airport West as it prepares for a return to the EDFL’s Premier Division. 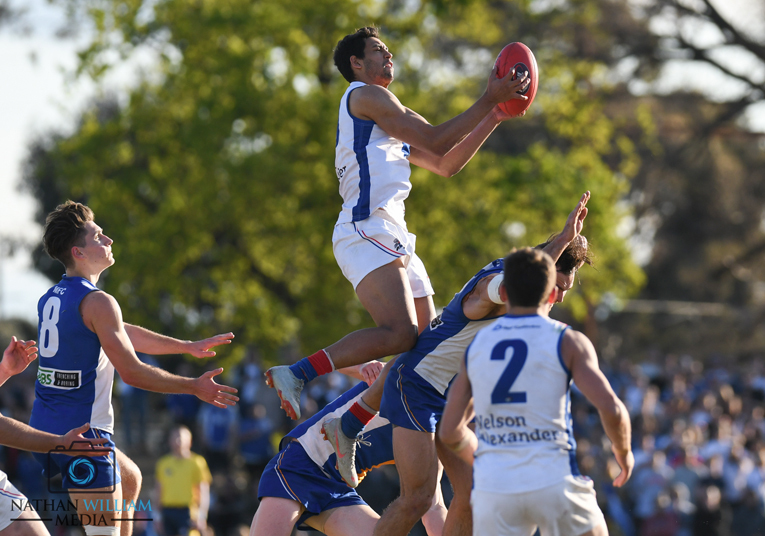 Aujla has also played 24 VFL games for Coburg and the Northern Blues over the past four years. Heidelberg West officially lodges a transfer for new coach Cameron van Florestein, who was announced as Gary Cutler’s replacement in October. van Florestein joins the Hawks after a long career in the Eastern Football League, where he made more than 150 senior appearances for Kilsyth, Croydon and Warrandyte. He was a playing-assistant for Kilsyth over the past two seasons and has now taken over the head coaching role with the Hawks. Also joining van Florestein in the Hawks’ nest for the 2019 season are Ben Fogarty and Jayden Shirreff. Fogarty joins as a playing-assistant and has enjoyed stints with Altona and, more recently, Kilsyth. Shirreff has previously played 31 games in the brown and gold. He spent the 2018 season with Quambatook, but returns to Heidelberg Park where he will look to replicate a strong 2017 campaign – where he booted 16 goals in 11 games. Rohan Davies’ second stint at Mernda looks set to last just one year after being approved a move to Corowa Rutherglen in the Ovens & Murray Football League. 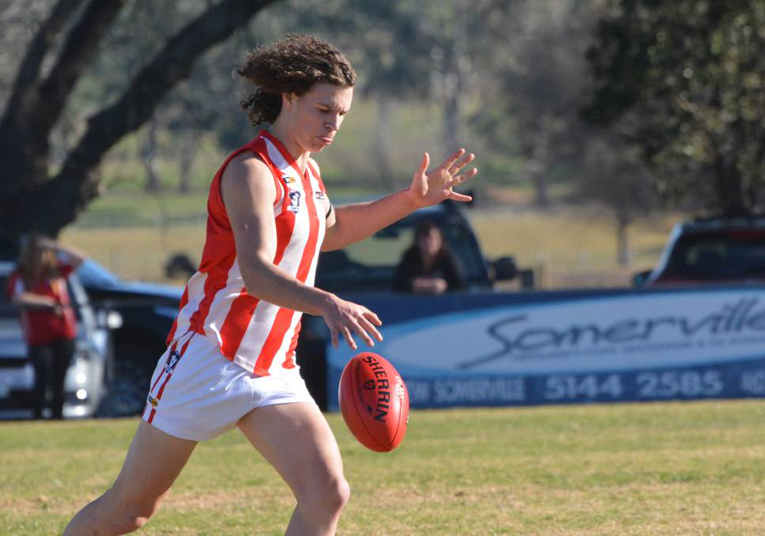 A two-time league best and fairest winner, Davies returned to Mernda in 2018 after stints with Howlong and also University in the Northern Territory Football League. Davies was among the Demons’ best players in seven of 12 matches this year and finished fourth in the club best and fairest count. Division 3 runner-up Panton Hill has signed ruckman Joel McLellan from Division 1 club Montmorency. McLellan has played 87 games for the Magpies and claimed the club’s best and fairest in 2015. He has previously played senior football with both Greensborough and Lower Plenty and will now team up with 2018 Division 3 Team of the Year ruckman Nick Parks at the Redbacks. McLellan’s signing continues a great week for Panton Hill, who has also announced the return of midfielder Nathan Hendry and small forward Cam Jordan for the 2019 season. The Panton Hill Football Club is proud to announce the signing of star ruckman Joel McLellan from Montmorency. Welcome to the Panton Hill Family Joel! Lalor has also made an immediate impact on the transfer period by entering clearance requests for 11 players, including Wallan forward Sam Rexhepi. 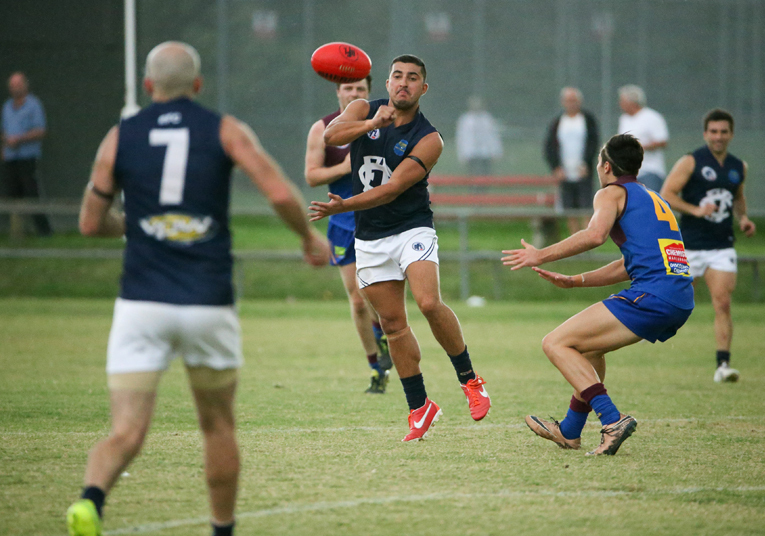 The key forward has booted 173 goals over the past five season in the Riddell District Football League and fills a major void inside 50m for the Bloods – whose leading goal kicker in 2018 was Daniel Moore with just 13 majors. Others on their way to Lalor Reserve include former Frankston VFL big man Adam Lourey, former Coburg Districts captain Stephen Wallace, Heidelberg West youngster Jacob Duson and North Sunshine’s Adem Bektash. Bundoora premiership trio Josh Grabowski, Joe Palazzolo and Nick Grabowski are headed to EDFL outfit East Keilor. Josh Grabowski has been a member of the NFNL representative team for the past two years and was vice-captain of Vic Metro in 2018. A former Footscray VFL player, he booted 93 goals in 68 appearances for the Bulls and was named in the Division 1 Team of the Year in 2017 and 2018. Palazzolo is a three-time premiership winner with Bundoora after featuring in the 2011, 2013 and 2017 grand final wins. He featured in 167 senior games for the club and produced a career-best season in 2018 to finish second behind Scott Dowell in the best and fairest voting. Meanwhile, it’s been a busy off-season for the Fitzroy Stars as they look to rise up the Division 2 ladder under new coach Hayden Heta. Throughout October the Stars have announced 11 new signings following a difficult 2018 campaign that yielded just two wins. Among the new additions are former Melbourne and Carlton defender Chris Johnson, gun midfielder Carl Groth and Calder Cannons young gun Jake Firebrace. Johnson played 46 AFL games between 2005 and 2010, while Groth won the VAFA Premier C best and fairest with Ivanhoe in 2015 and has also been a standout with Milawa. Firebrace will add pace and excitement through the midfield and forward line after featuring in 17 TAC Cup games over the past two seasons. In more great news for the Stars, Kain Proctor, Jai Burns, Corey Wanganeen and Brad Kairouz are among a host of players returning to Sir Douglas Nicholls Oval in 2019. 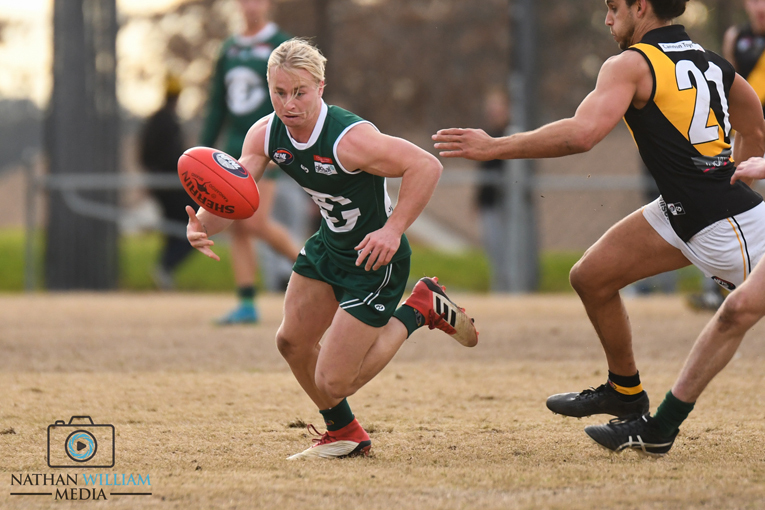 Proctor and Burns both spent 2018 with Division 1 outfit Bundoora. Proctor played 17 senior matches, while Burns overcame an early season injury to help steer the Bulls’ reserves to a famous premiership win and was best afield in the grand final. Both Wanganeen and Kairouz last played at the club in 2014 and will bring welcome experience.